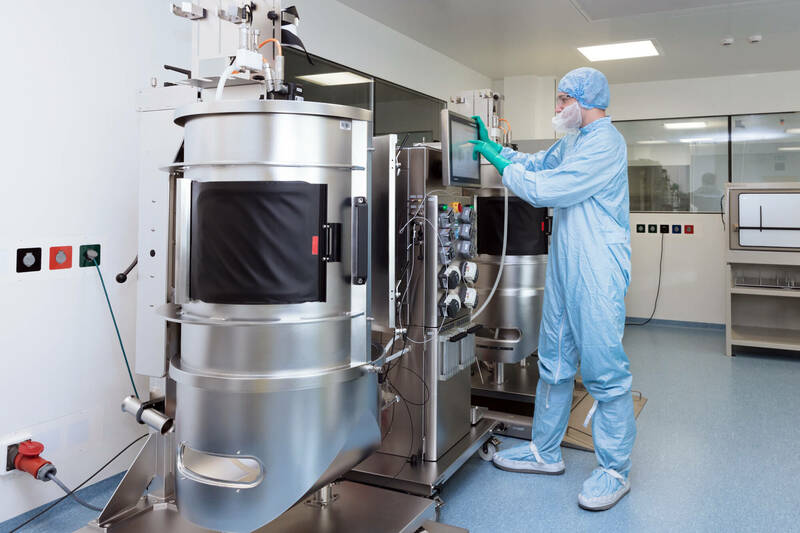 Yposkesi has four independent GMP manufacturing suites where we perform either adherent (24CF10) or suspension (up to 2*200L single use bioreactors) process. Those suites are spacious enough to accommodate the installation of additional specific equipment, such as large size single use bioreactors (up to 500L) or additional chromatography steps. They are grade C and are operated at Biosafety level 2. Typical purification steps performed in these GMP areas cover depth filtration, tangential flow filtration, chromatography (affinity, ion-exchange, size exclusion). The facility has an operational capacity of up to 33 batches per year. The company is currently extending its production capacity incorporating an additional 50,000 sq ft building equipped with large scale capacity, and suited for the manufacturing of post-registration products. This new facility will contain two production suites equipped with two 1,000 L bioreactors per suite and will be fully operational by mid-2021.